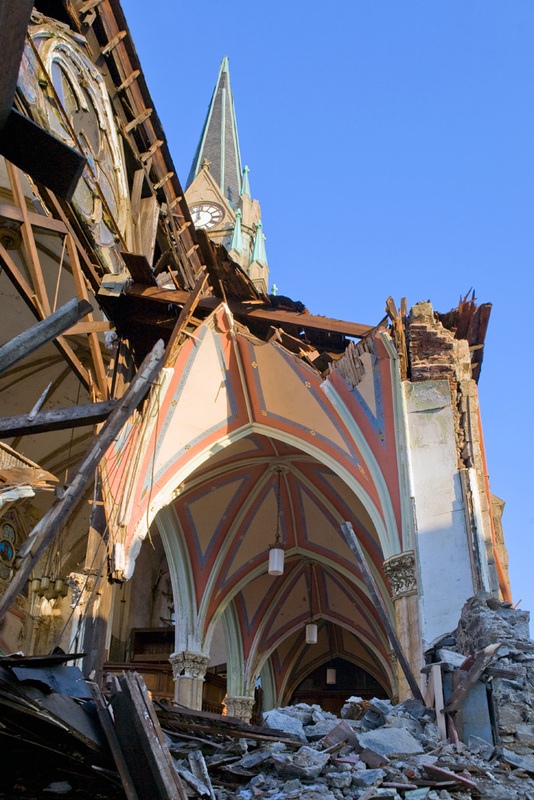 St. Bonaventure condemned, but who will salvage its soul? 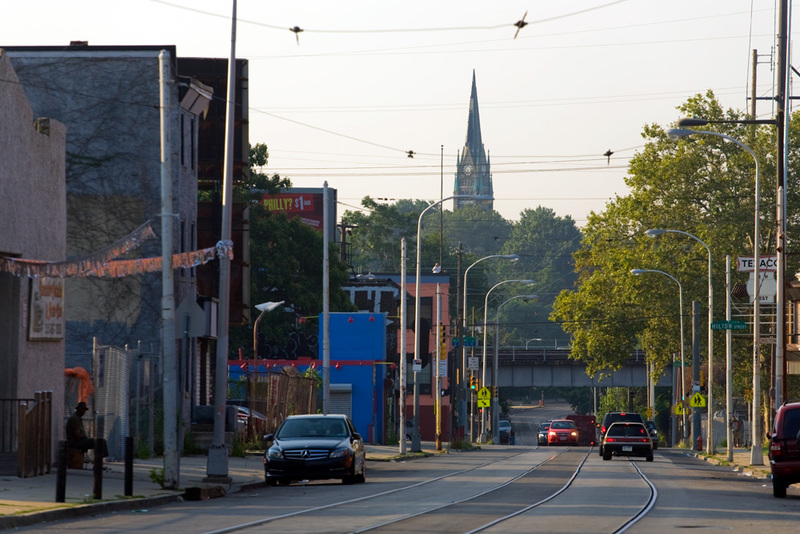 Editor’s note: This story is a collaborative effort between PlanPhilly and Hidden City Philadelphia. 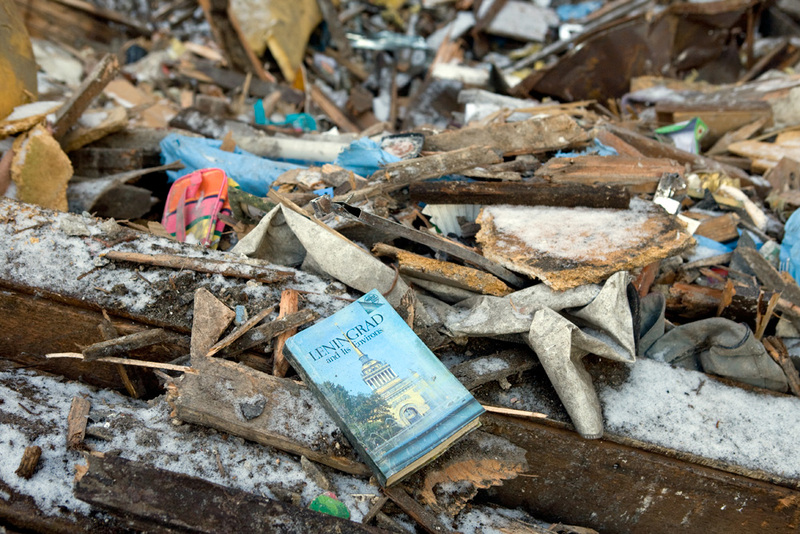 With common interests and a natural allegiance, we pooled our resources to see what—if anything—gets salvaged from L&I-order demolitions. 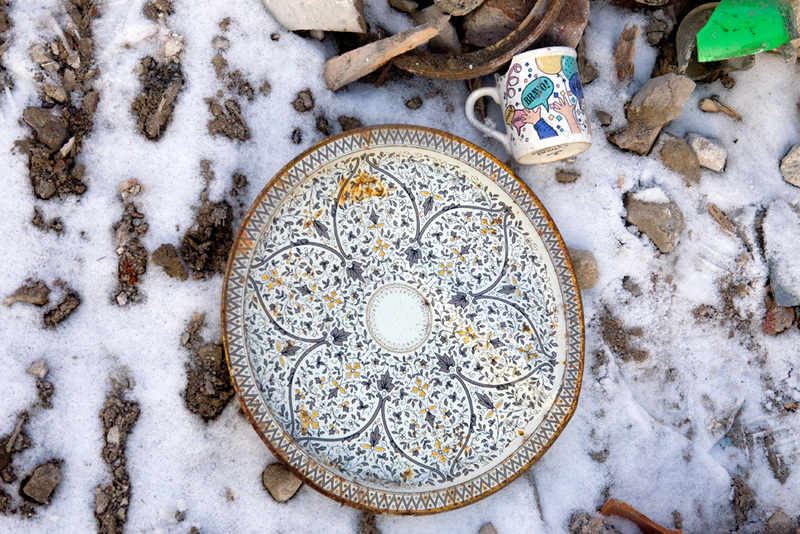 The story was written by Jared Brey, and the photographs were taken by Bradley Maule. 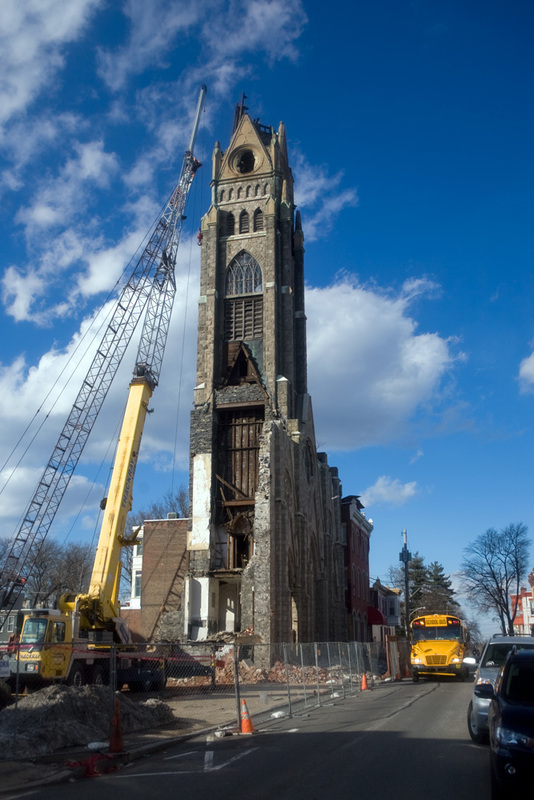 Late last year, the Department of Licenses and Inspections decided that the century-old St. Bonaventure Church in Fairhill was structurally unsound and a threat to its neighbors. 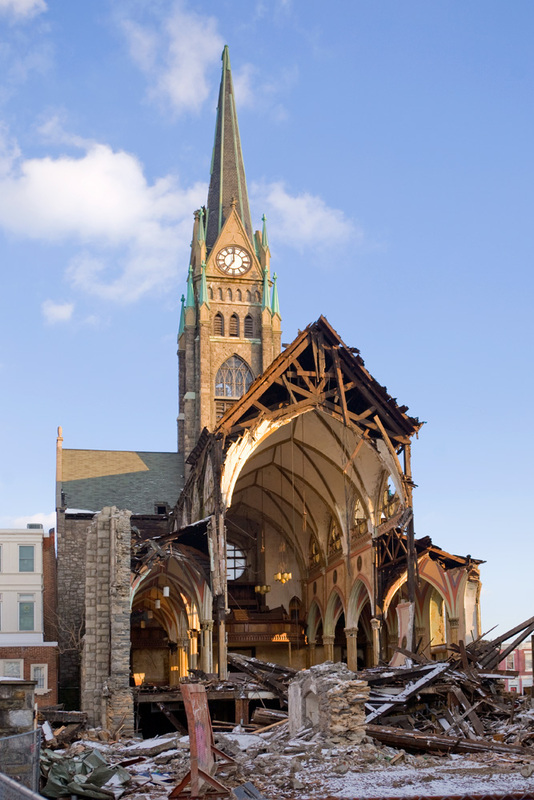 And since L&I is not in the business of stabilizing or rebuilding old structures, it declared that the church had to be brought down. 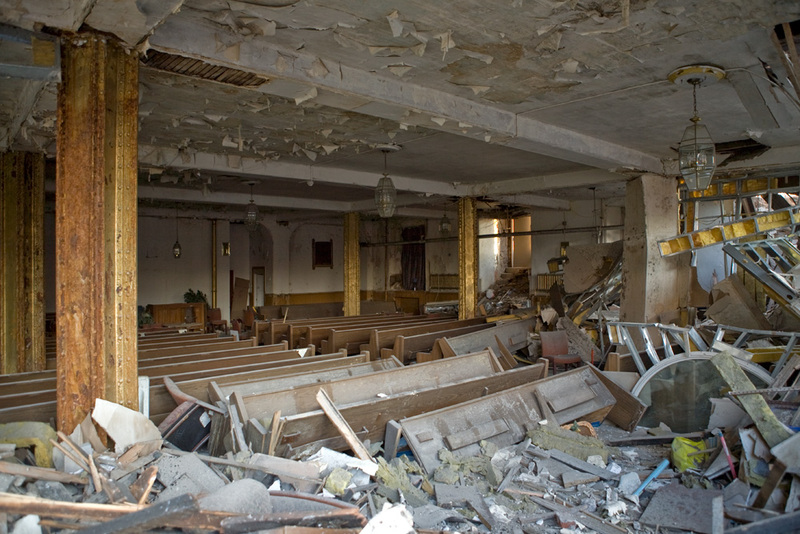 Further, since L&I is also not in the business of demolishing dangerous buildings, the job was contracted out. 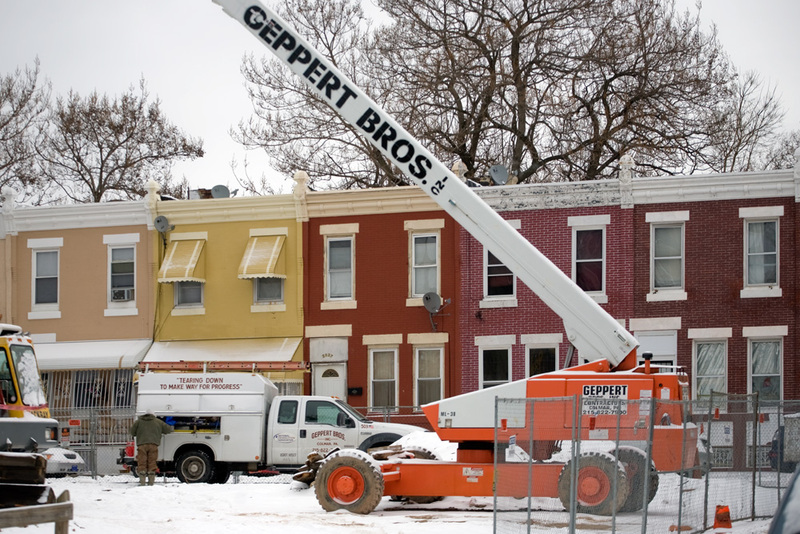 The winning bid, at a cost of $972,450, came from Geppert Bros., the area’s preeminent name in demolition contractors. 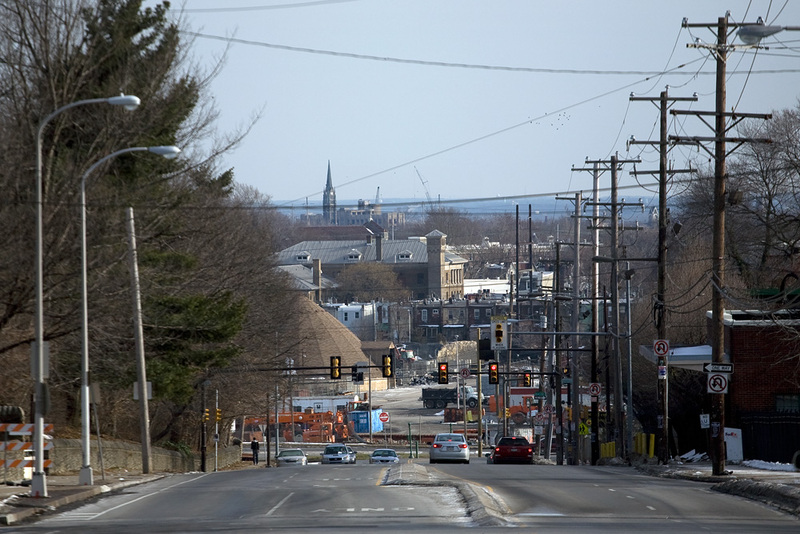 (They count the demolitions of the Spectrum, the buildings cleared for the Convention Center expansion, Byberry State Hospital, and the 22nd & Market cleanup among their portfolio.) 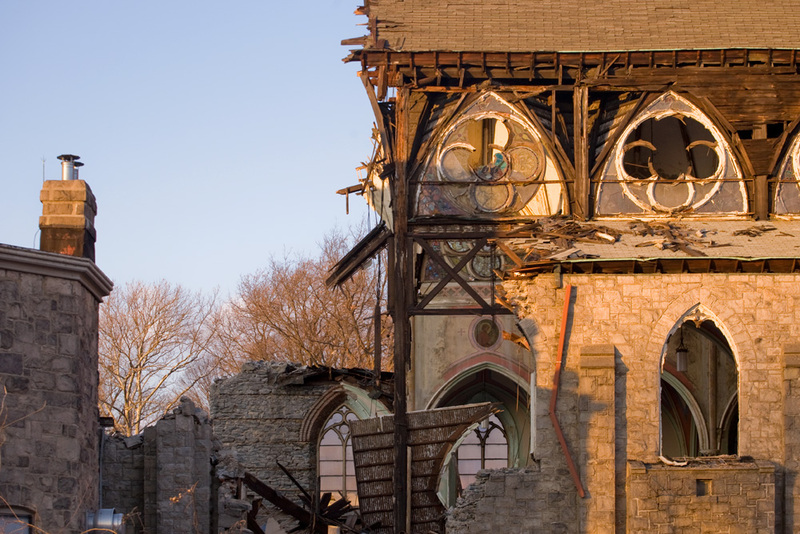 That’s $862,450 to demolish the church, and $110,000 to demolish an adjacent school in order to make a clean platform from which to tear down the church, according to L&I spokeswoman Rebecca Swanson. 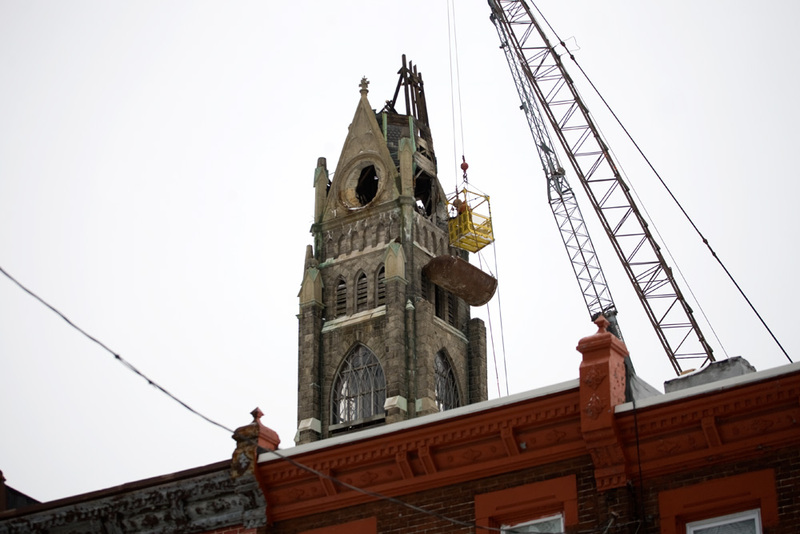 In December, they made fast work of the church’s sanctuary, and since January, the contractors, working from a cage hoisted up by a crane, have picked apart the church steeple from the top, one brick at a time. 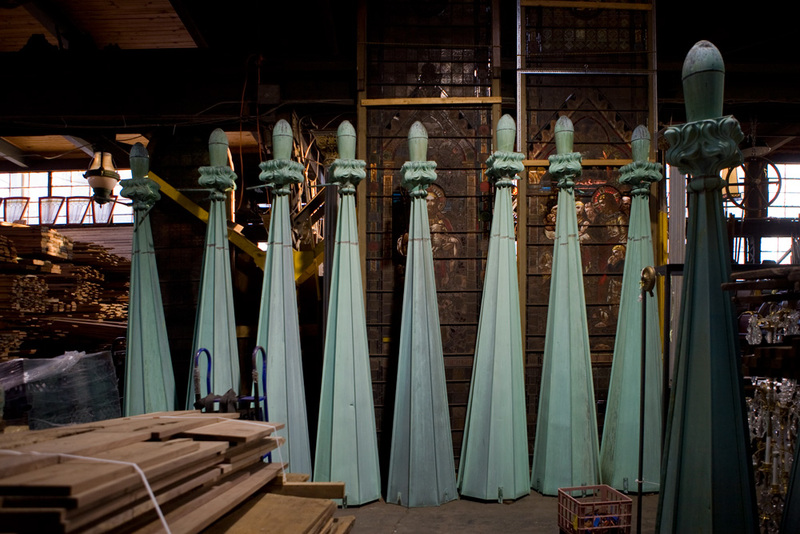 In addition to the bricks, they’ve also claimed a dozen patinated copper spires and four eight-foot-wide clock faces, which are now sitting in a warehouse on Canal Street in Northern Liberties, salvaged by Provenance Architecturals and waiting for a new home. 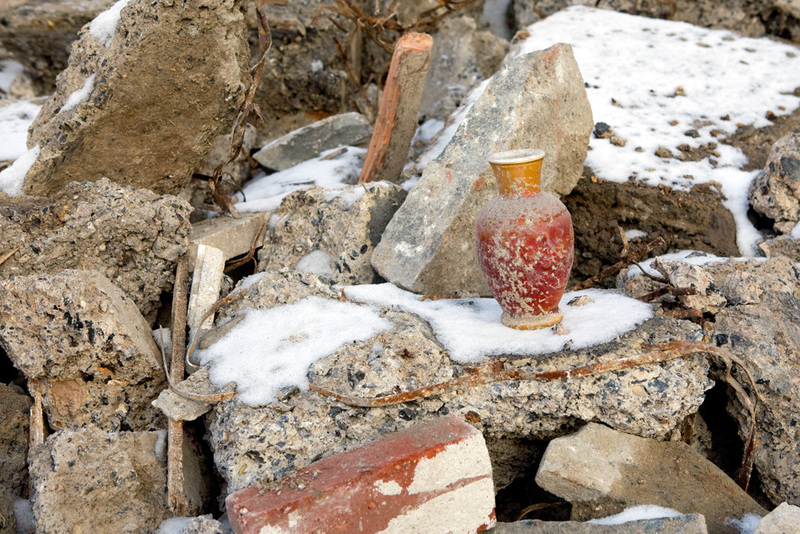 When the city orders a demolition on a dangerous building, according to Swanson, the contractor gets the right to salvage any valuable materials. 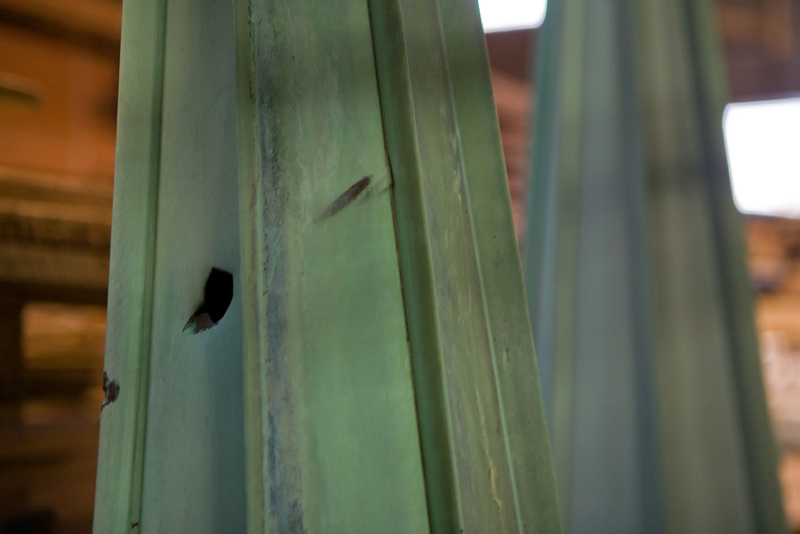 An estimate of that value is supposed to be worked into the bid, so that if the contractor thinks he can get a hundred dollars for a pane of stained glass, he charges the city a hundred dollars less. 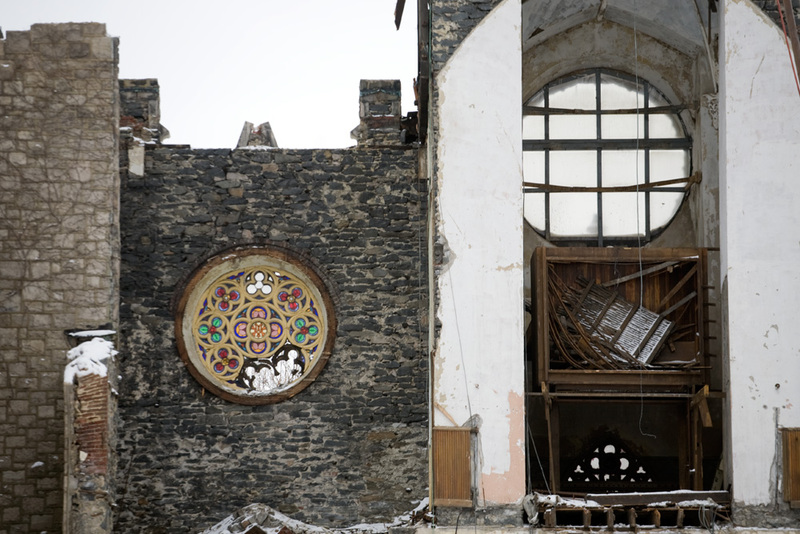 Representatives of Geppert Bros. didn’t respond to requests for comment, but Scott Lash, of Provenance Architecturals, said that in the case of St. Bonaventure, there wasn’t much left to salvage. 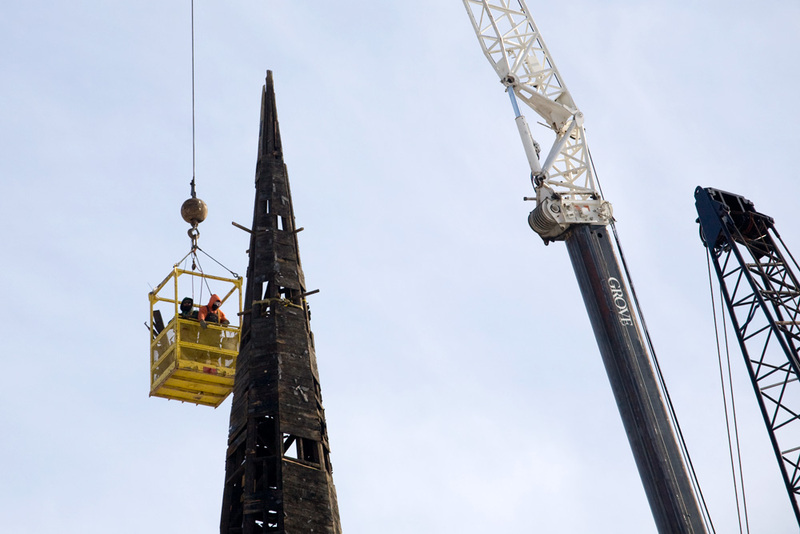 “On a million-dollar job, [salvage] is not even a line item,” Lash said. 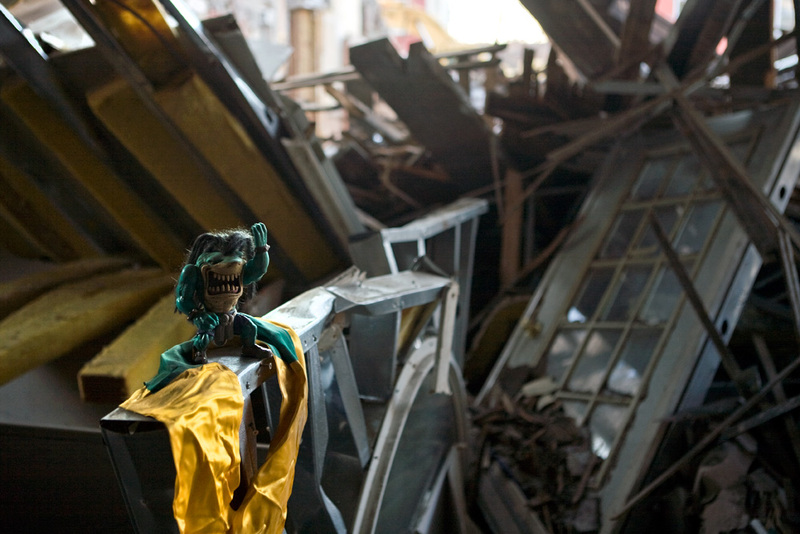 Lash said that salvaging valuable materials from unsafe buildings should be built into the city’s process of demolition. 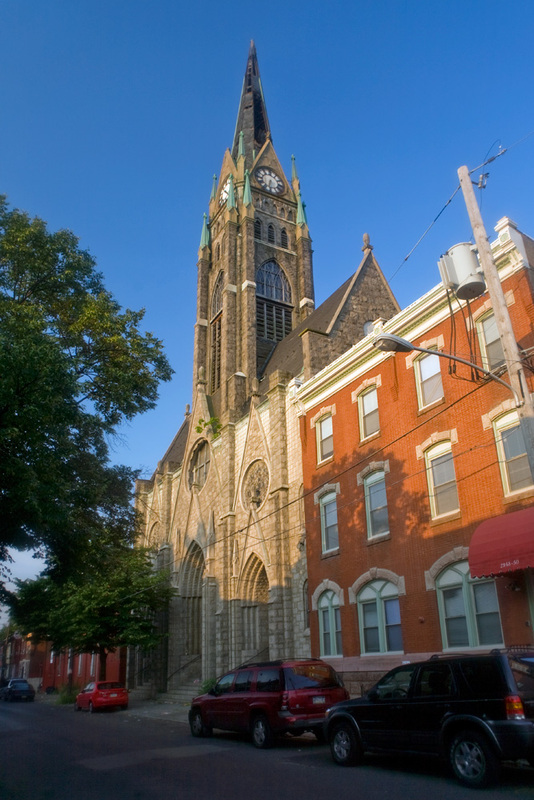 He mentioned the fight to preserve the certified-historic Boyd Theater on Chestnut Street. 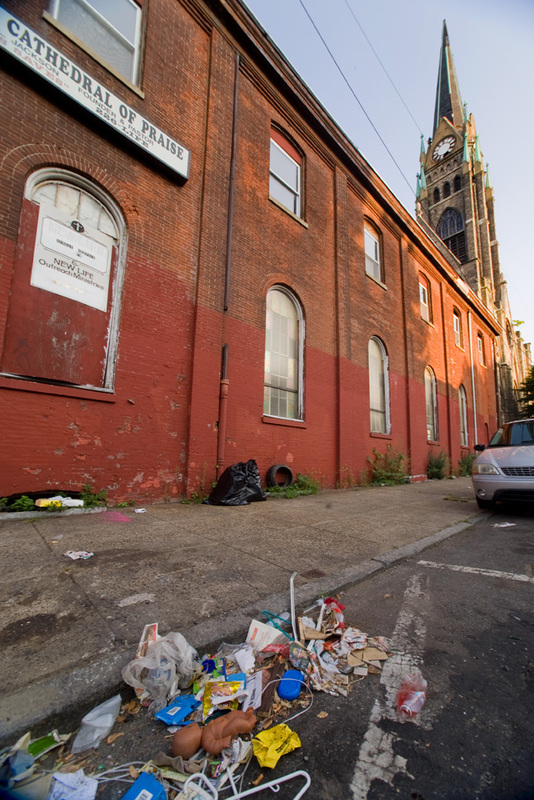 The Philadelphia Historical Commission’s Committee on Financial Hardship recently ruled that the building may be demolished. (It goes before the full Commission this Friday.) 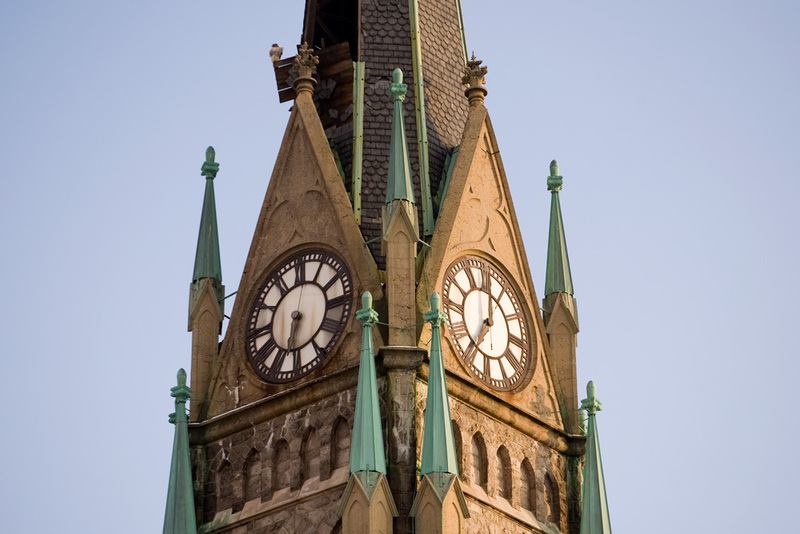 What would that mean for its historic interior? “This is the fabric of the city,” he added. 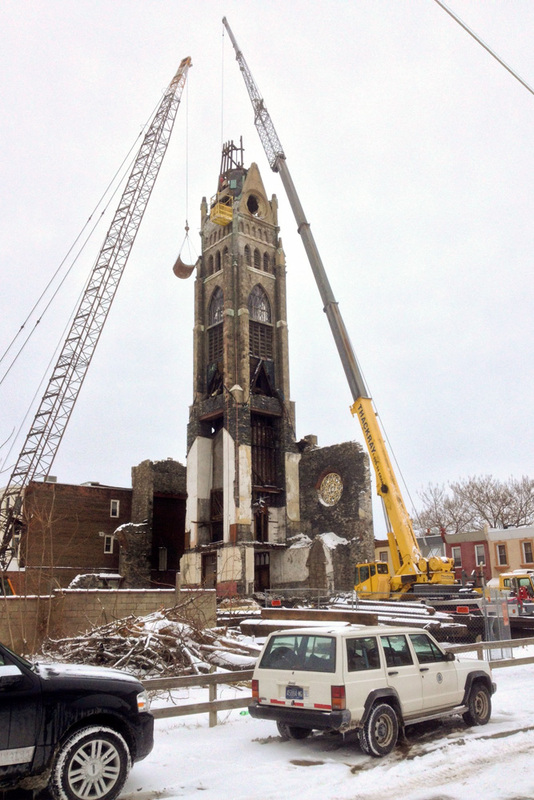 The Ruffin Nichols Memorial A.M.E. Church sat half-demolished for months at the corner of 11th and Mt. Vernon Streets. 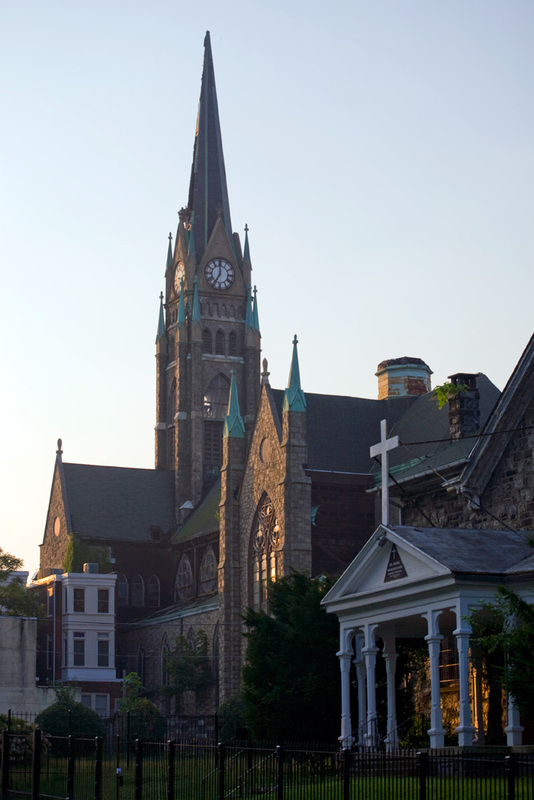 Like St. Bonaventure, that church was old but never certified historic. 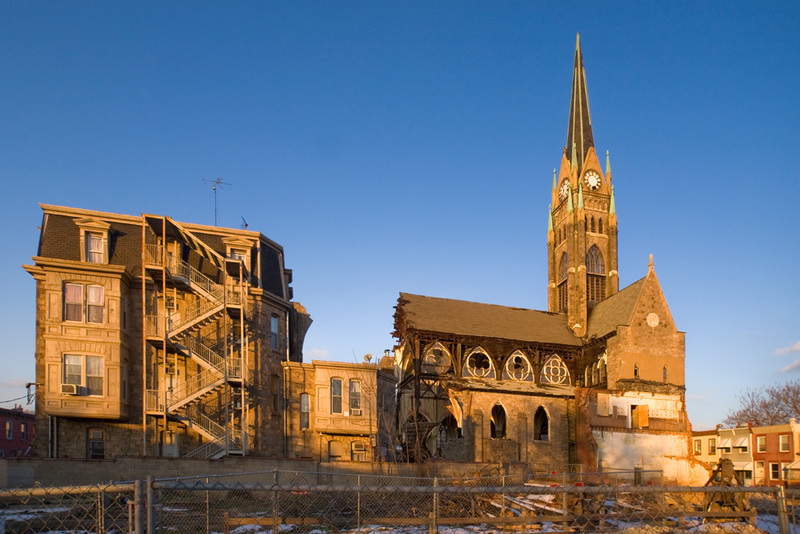 Unlike St. Bonaventure, its demolition was paid for by the owner, who was able to sell off some of the leftover relics before the demolition began. 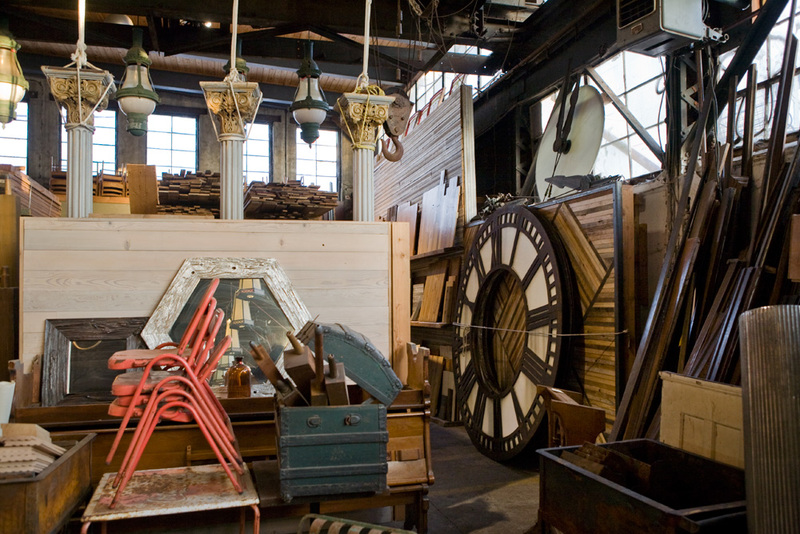 The owners of Provenance didn’t want to talk about how they made the St. Bonaventure connection—the salvage business is competitive, they said—but the company knows its way around historic Philadelphia materials. 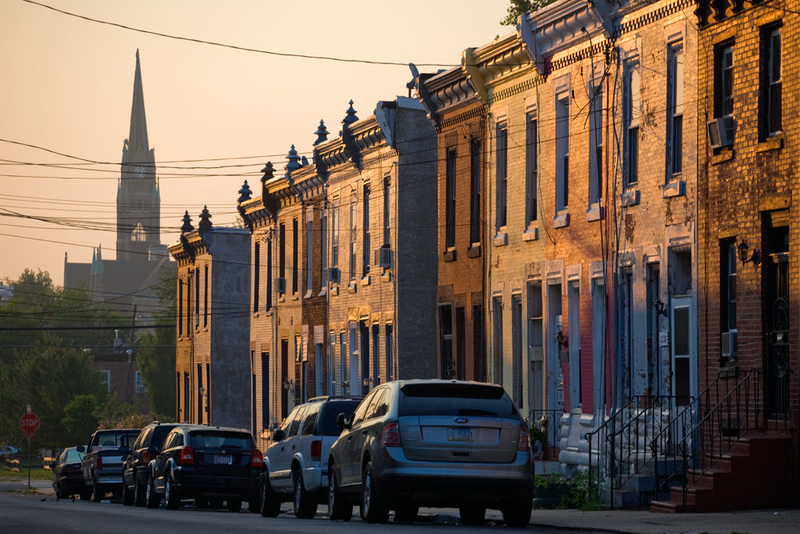 They’ve helped move three-inch-thick slabs of marble from Independence Mall to private kitchens in New York City and to the bar at the renovated Sansom Street Oyster House, according to a catalog. 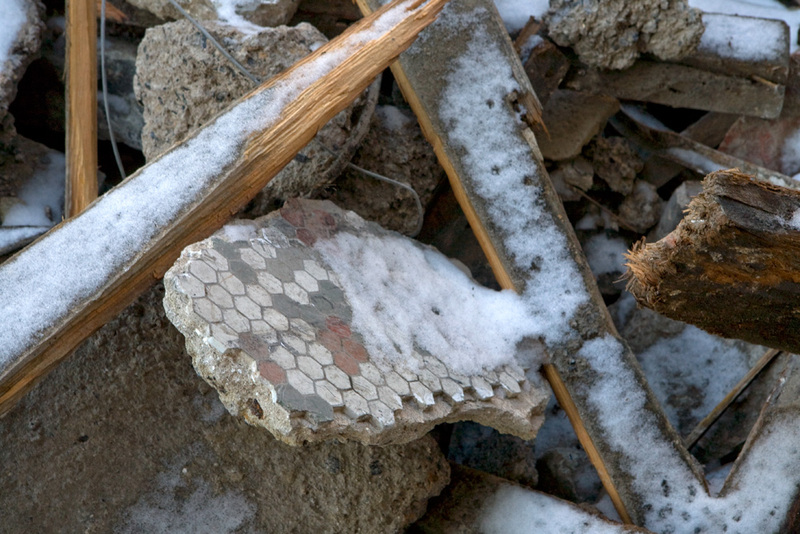 They currently have a pile of stones from the old Dilworth Plaza sitting in their salvage yard. Lash said he doesn’t know yet what will happen with the St. Bonaventure materials. 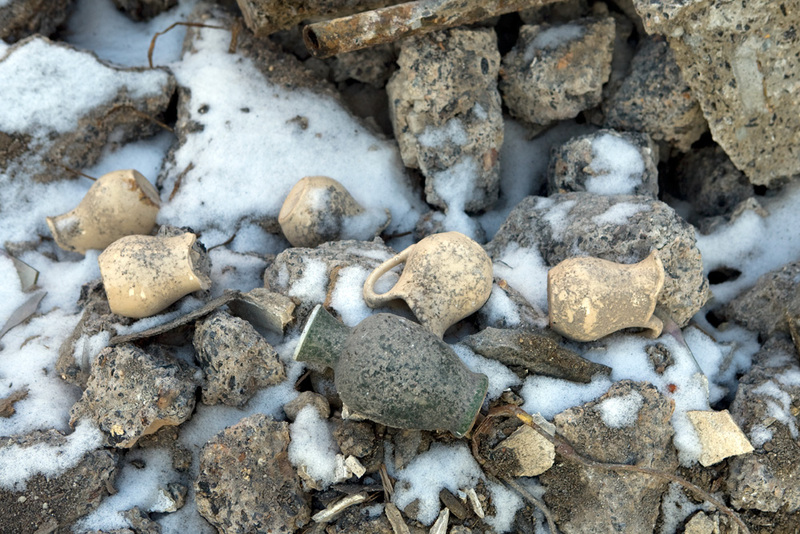 Historical Commission Director Jon Farnham said it’s likely there have been attempts to publicly manage the salvage of historic materials, but he doesn’t know of any specific mandates. “I know of no law or regulation that addresses that issue,” Farnham said. 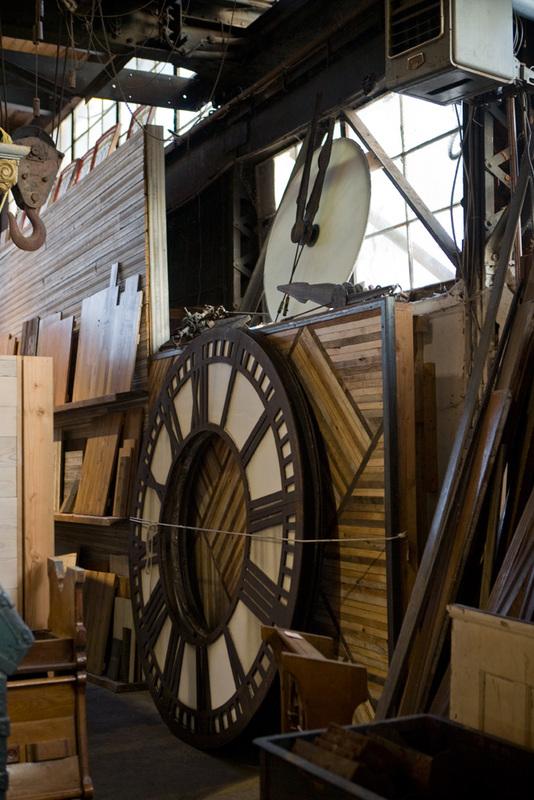 Rebecca Swanson pointed out that L&I doesn’t want to be in the business of selling salvaged materials, either. 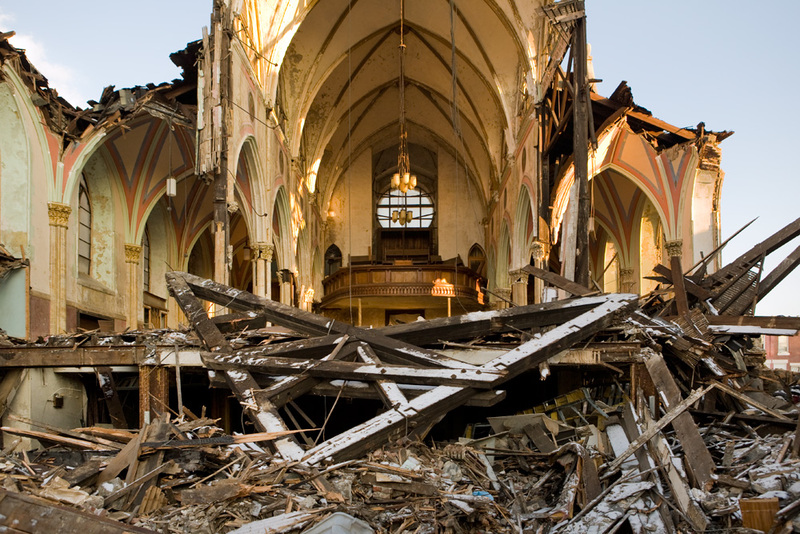 But the question of salvaged materials is small compared to the question of what will become of the property after the church is gone. 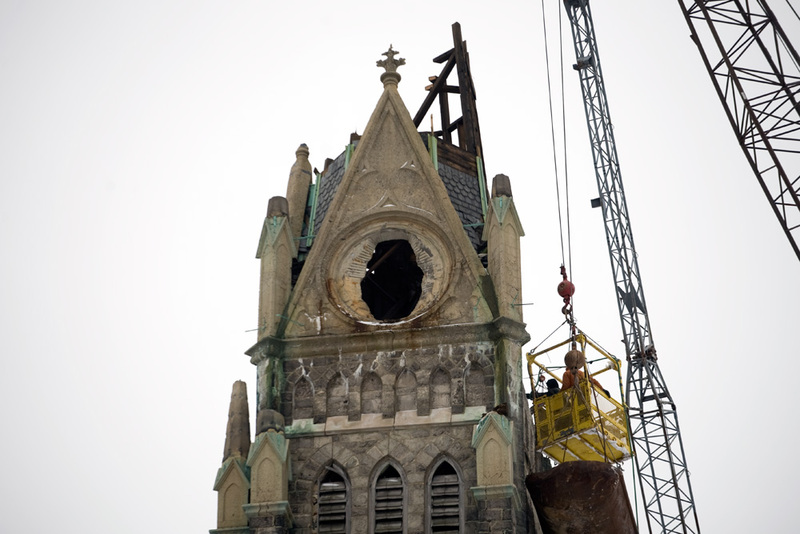 The clock faces, which marked a million hours atop the steeple of St. Bonaventure, will eventually find a new home. But when will the property find a new use? 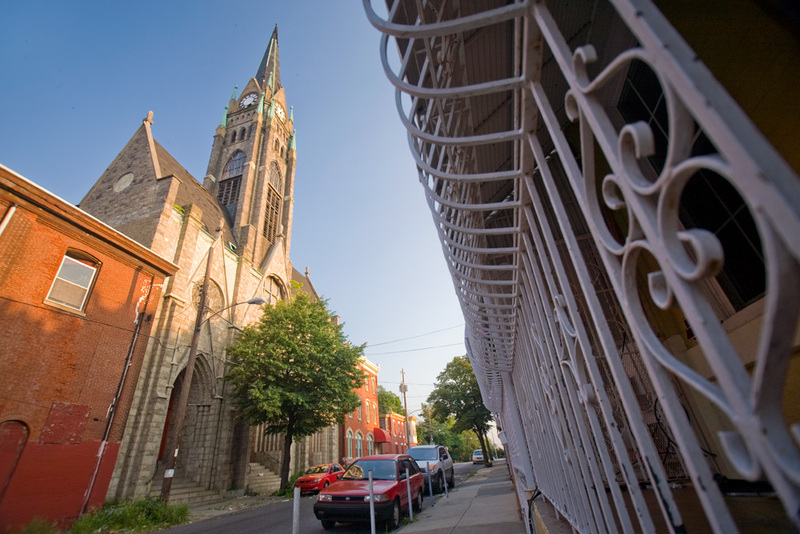 The demolition of the church, which stood on the 2800 block of North Ninth Street since 1894, will leave a new, privately owned vacant lot in Fairhill, empty land that’s currently valued at a little under $200,000 by the Office of Property Assessment. 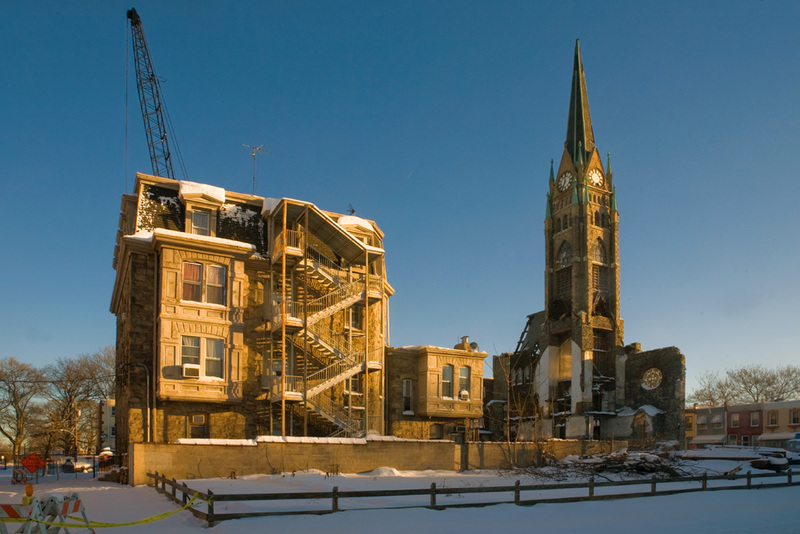 L&I will add to that a tax lien for the million-dollar cost of the demolition. 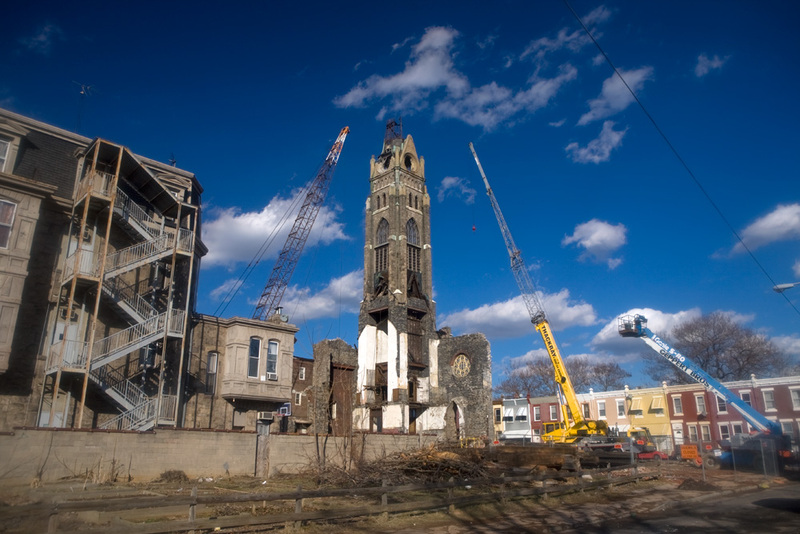 “We really tried to avoid that demolition, because it was just so costly,” said Councilwoman María D. Quiñones-Sánchez. 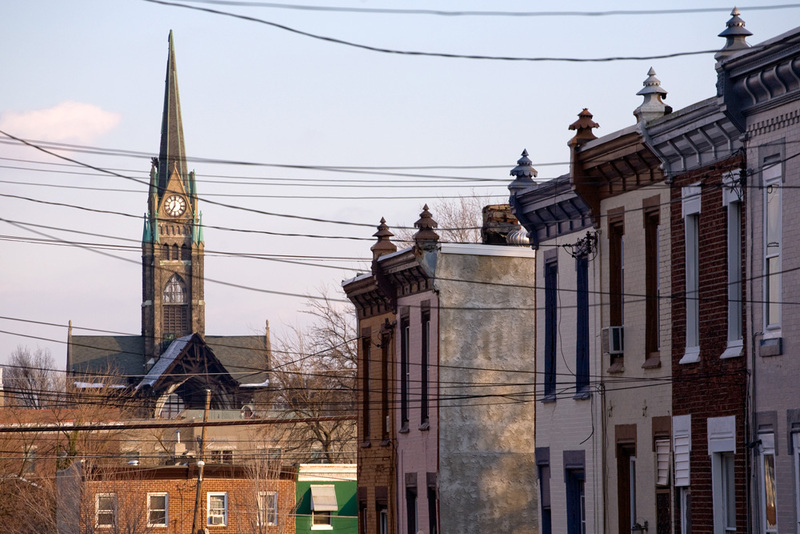 For now, St. Bonaventure sits in Councilwoman Sánchez’ 7th District. Because of redistricting, in 2016 it will be part of the 5th District, represented by Council President Darrell Clarke. 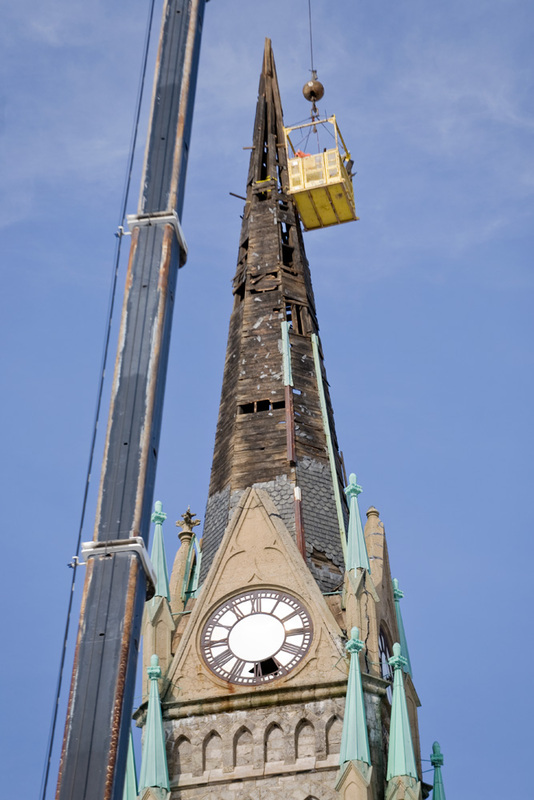 L&I initially took the church’s owner, New Life Evangelistic Church, to court to try to get the congregation to pay to stabilize the steeple. 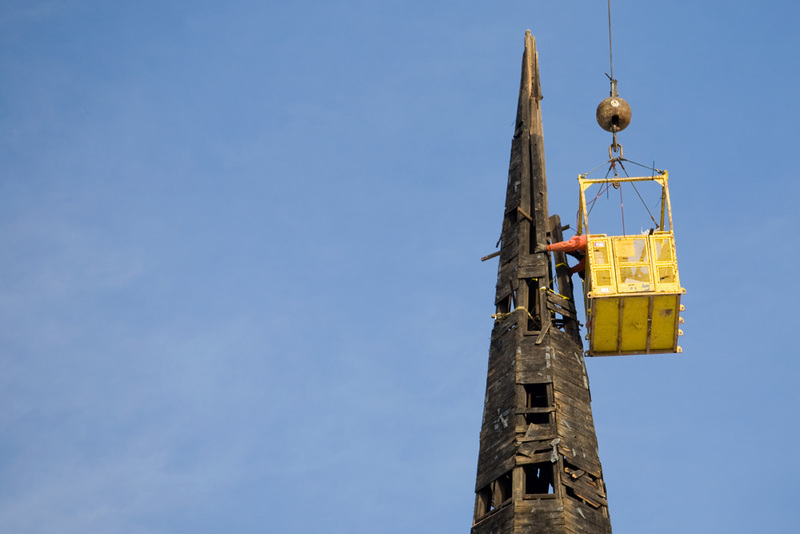 That job was estimated to cost $77,000, but the congregation was apparently unable to raise the money. 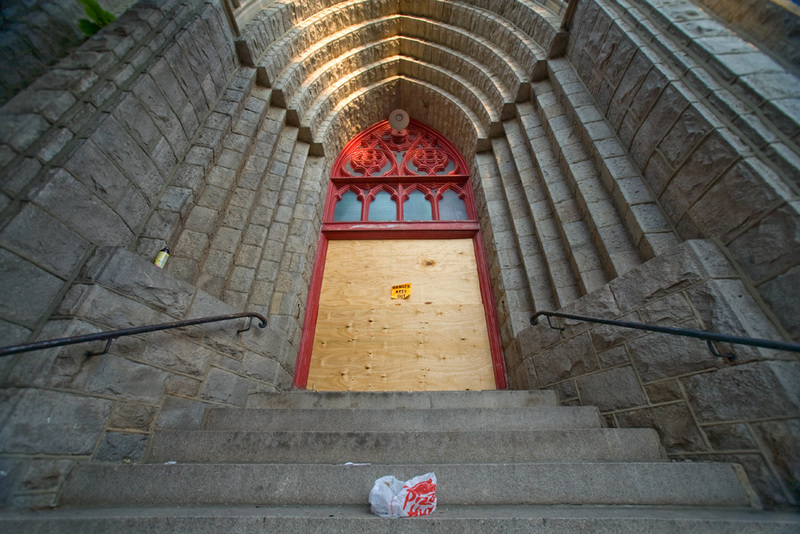 Bishop Carswell Jackson, the church’s pastor, did not respond to a request for an interview. 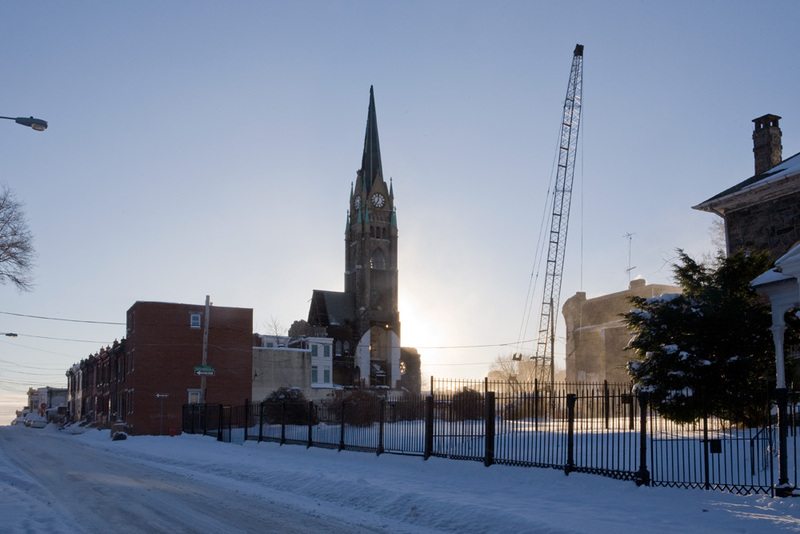 But although the congregation will lose the building—it had already stopped using it—it will maintain ownership of the land, at least in the short term. “We will definitely make sure to put the lien on it so that we’re at the table for whoever wants to buy it,” Sánchez said. 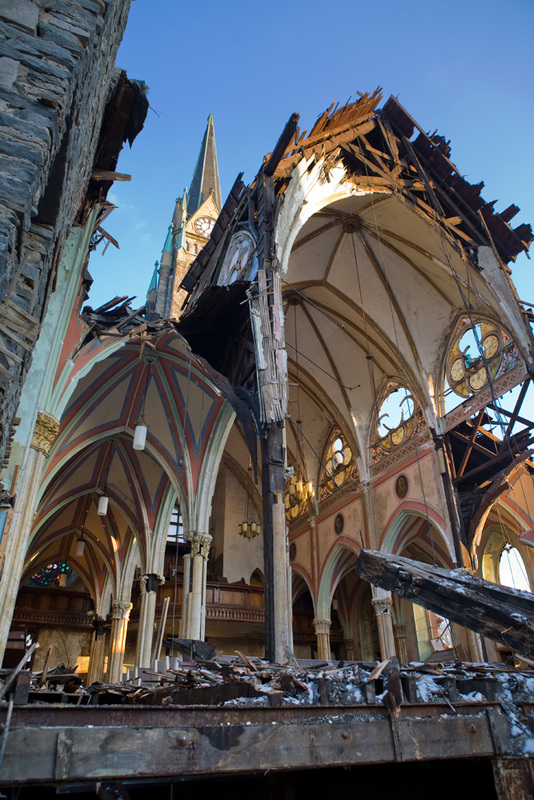 The chronological gallery below follows the demolition of St. Bonaventure from last August (before the final condemnation) through this week, including the items salvaged at Provenance Architecturals. 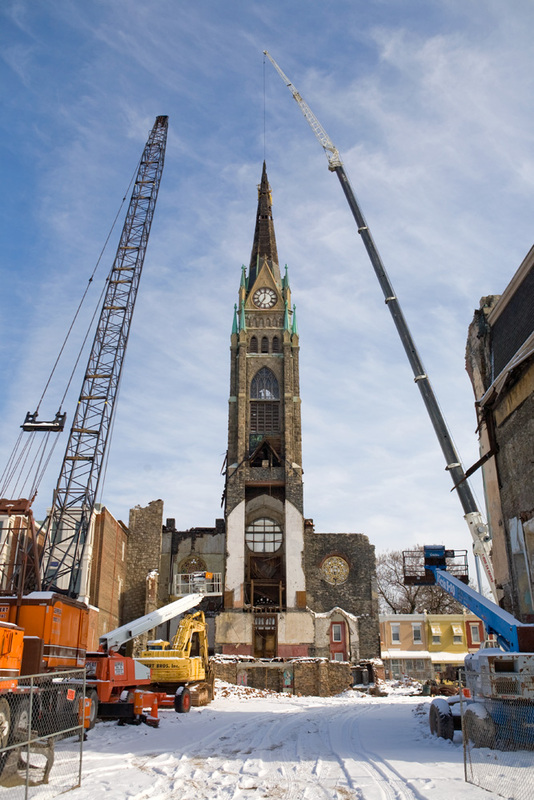 Currently, all that’s left of the church is about half of the tower, and work will be finished by early spring, leaving an empty lot where Edwin Forrest Durang’s church stood for 120 years. 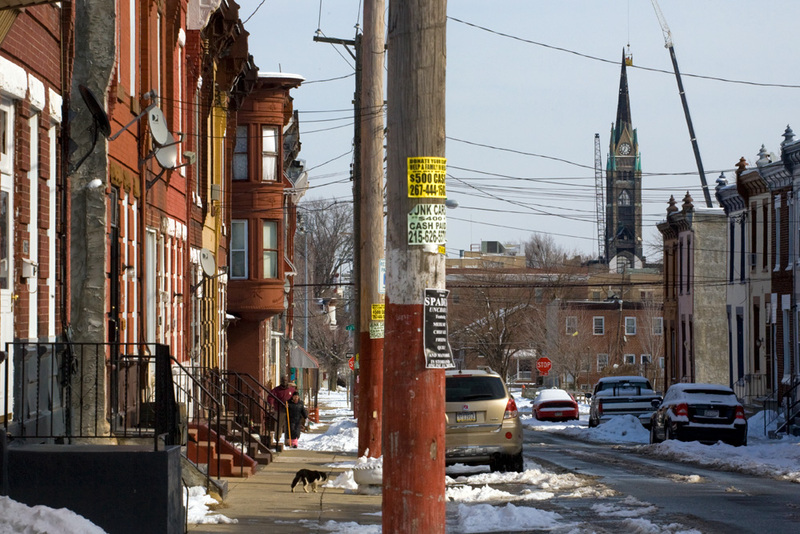 Jared Brey writes about urban planning, politics, and development in Philadelphia. 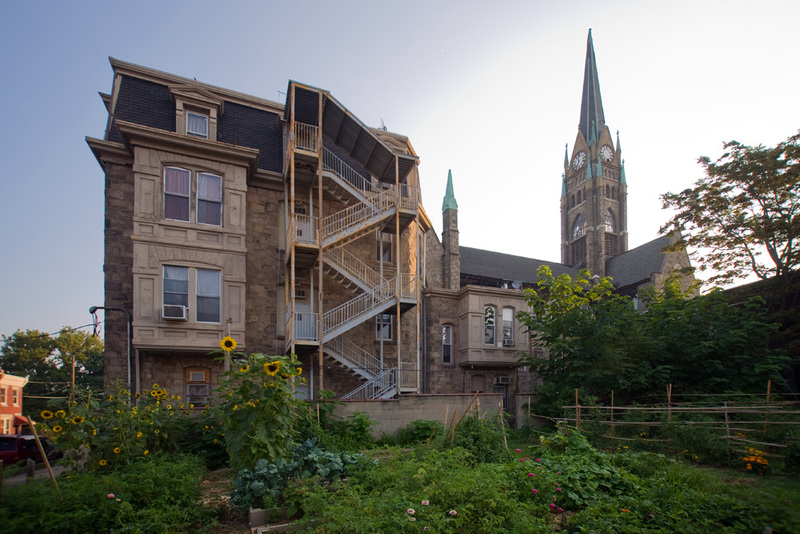 His work has appeared in PlanPhilly, Philadelphia magazine, Hidden City Philadelphia, City & State, Billy Penn, and the Philadelphia Inquirer. I was wondering if the demolition was complete. With houses so close I can see why they have to take the steeple down stone by stone. 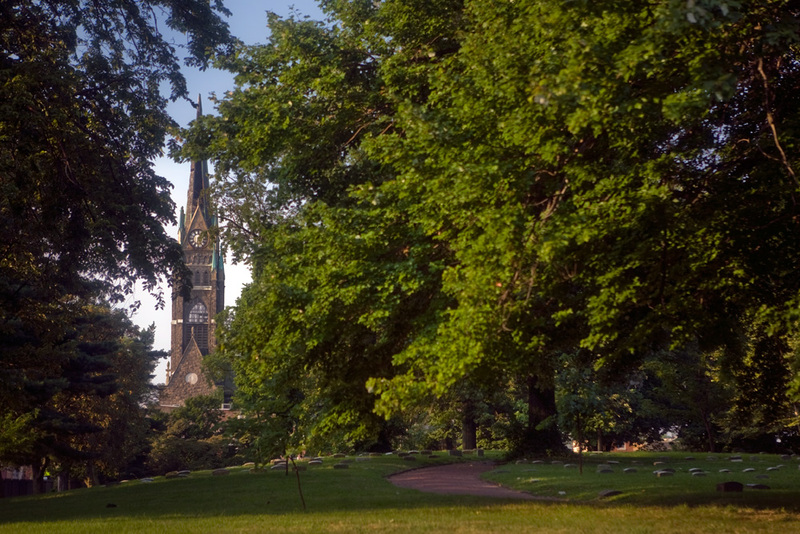 I lived on Auburn Street and attended St. Bonnies for eight years. 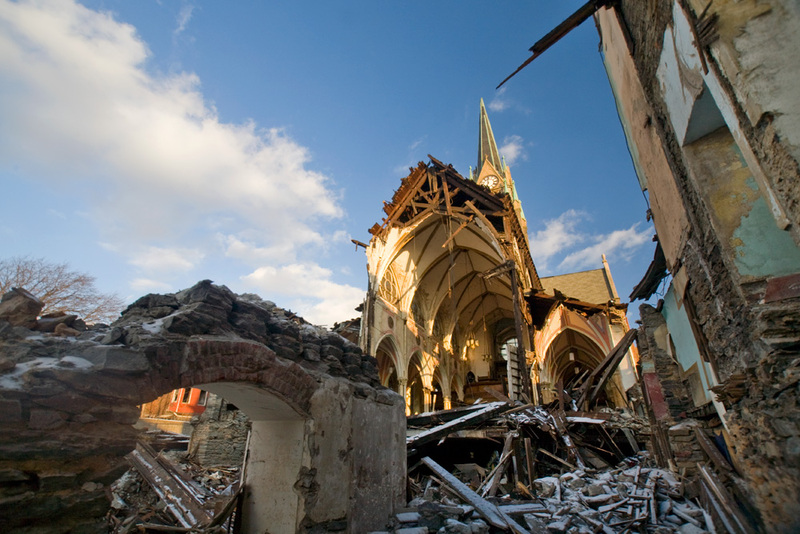 It certainly was a very beautiful church. 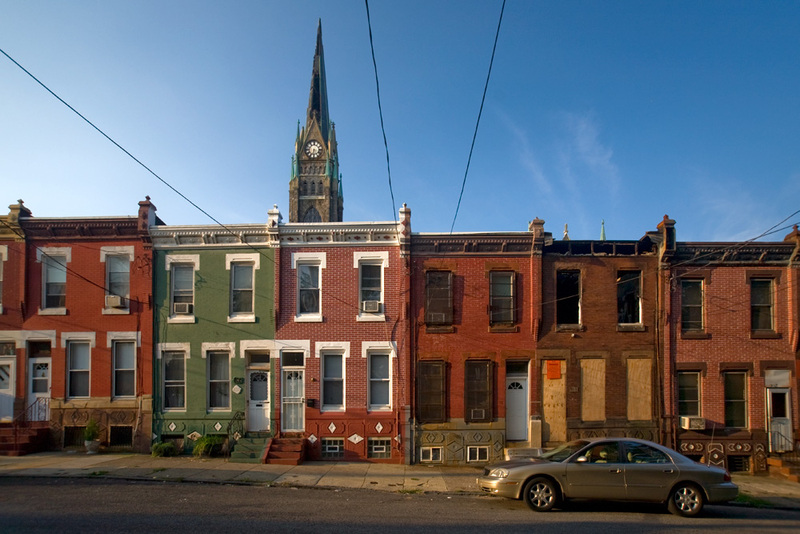 It sure is a shame that this once beautiful neighborhood went to ruin. But, that’s the way it goes it seems. Thank you for the great article and the follow-up on this story. Honestly just let the church die with some dignity. 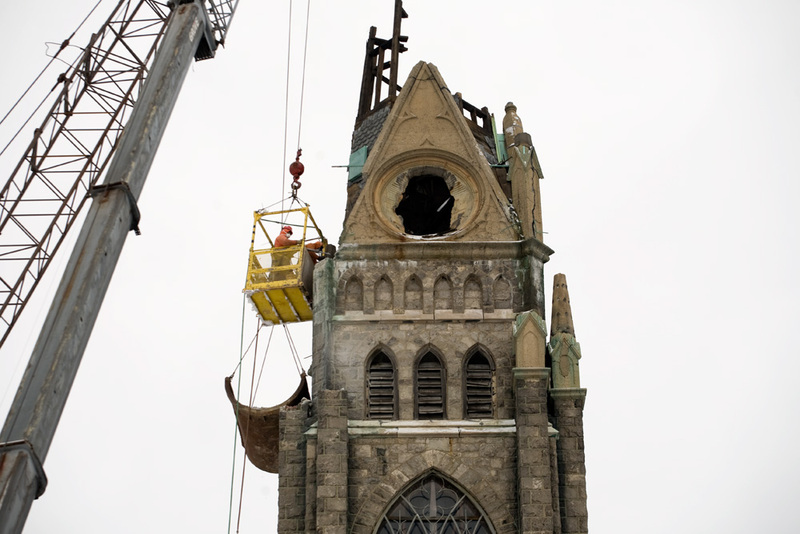 I wonder how they got the bells out? 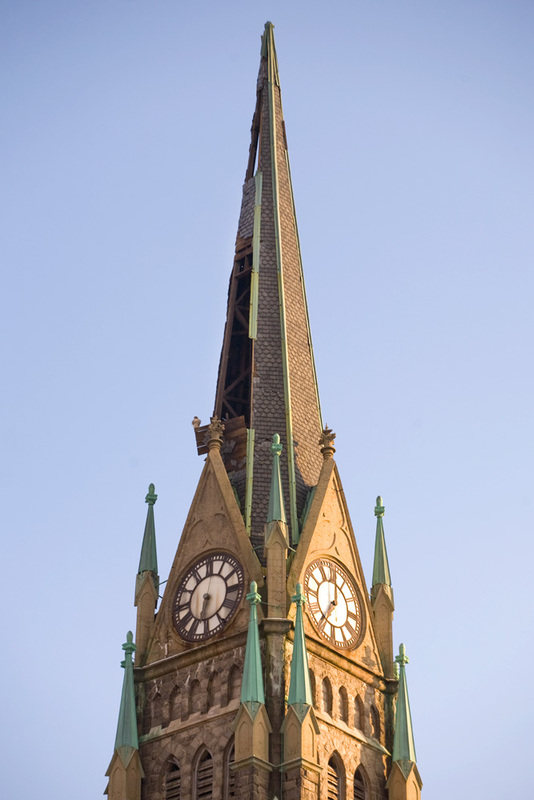 I remember when we first moved into the house on Auburn Street and the first time the bells rang. We thought the house was going to cave in. Loud……wow. But after awhile we got use to it and when we had friends, who did not live in the neighborhood, come in we would get a laugh out of them jumping when the bells rang. 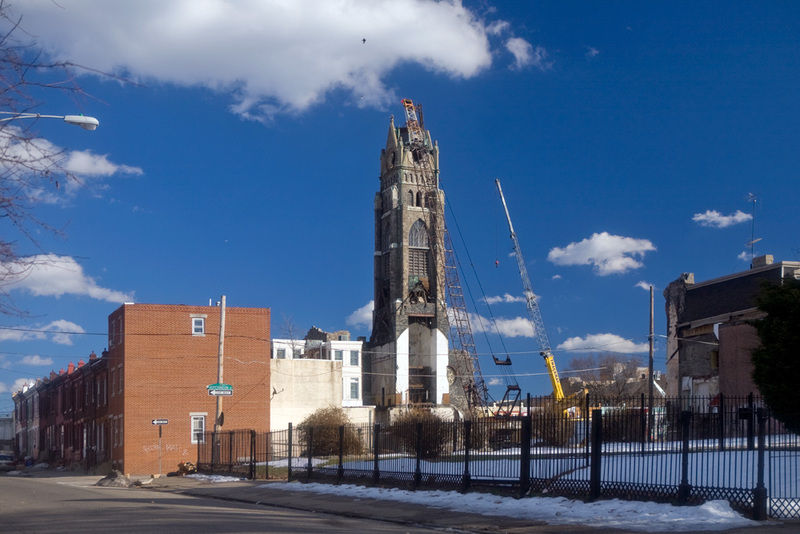 The city spends $1 million to demolish what, in Paris, would be on a landmark map, but not $77K to stablize. Better to have a $200,000 lot with a $1 million lien. Makes perfect sense. Just in case anyone doesnt get this, the building could have been stablized over and over again for the next hundred years, with hopes that the neighborhood could change, and the building reused, but the point is, this wouldnt be part of the expensive demunition that the City of Philadelphia Government is administering.